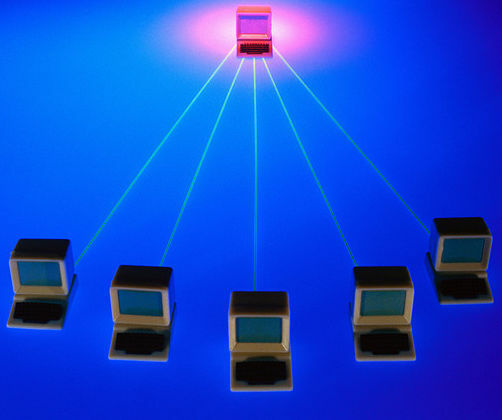 The management of file, data and account replication in large, complex and often geographically dispersed environments can consume significant time and resources. It has the potential to leave gaps in the systems management process which will often cause security issues. Secure4DM (Distribution Manager) is designed to provide a seamless delivery of files, user accounts and system management data whether in a single location with a complex environment or multiple geographically dispersed locations. Files and records are distributed via configurable queues on one or more hosts, and feature the ability to store and forward the messages should the target machine be unavailable. By using this methodology, Secure4DM removes performance bottlenecks, ensuring the timely delivery of data while being completely transparent. Secure4DM consists of a method of dynamically allocating message to specifiable queues with store and forward capabilities that are transparent to the user and application. 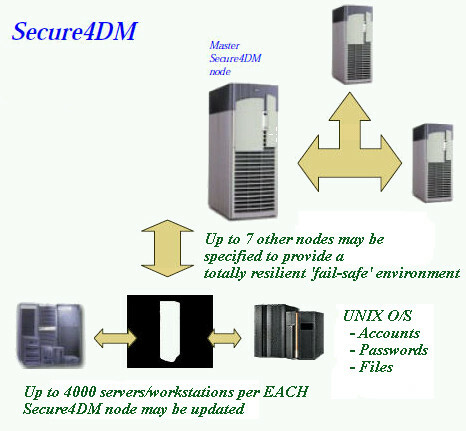 Secure4DM is perfect for environments in which load balancing of data flow is critically important to the performance of the work. When integrated with Secure4Access it provides an alternative method of updating user account information. Secure4DM is ideally suited to the requirements of containerized applications.